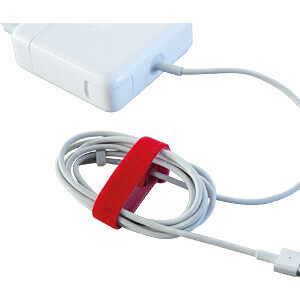 • Cord organizer: Double-sided hook-and-loop cable ties with strap for bundling cables together. Strap remains firmly fixed to the cable. 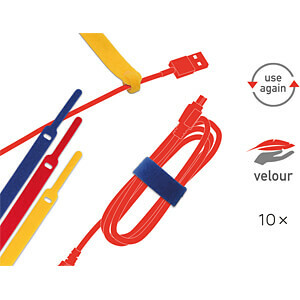 • Cable tidy: Hook-and-loop ties are versatile and can be used in the office, at home, in the workshop and especially when travelling (e.g. 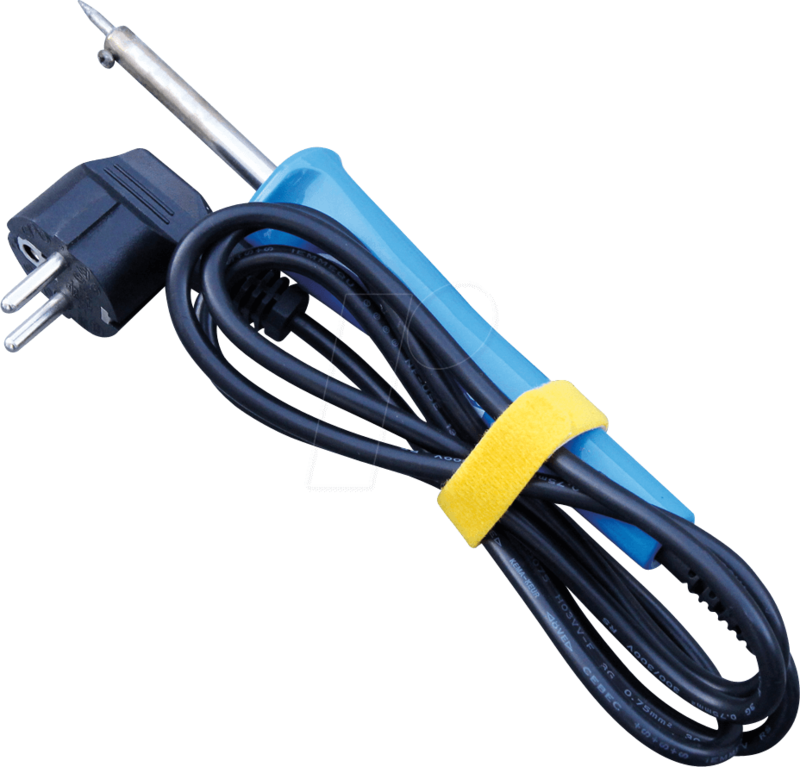 for laptop, mobile phone or tablet charger, computer). 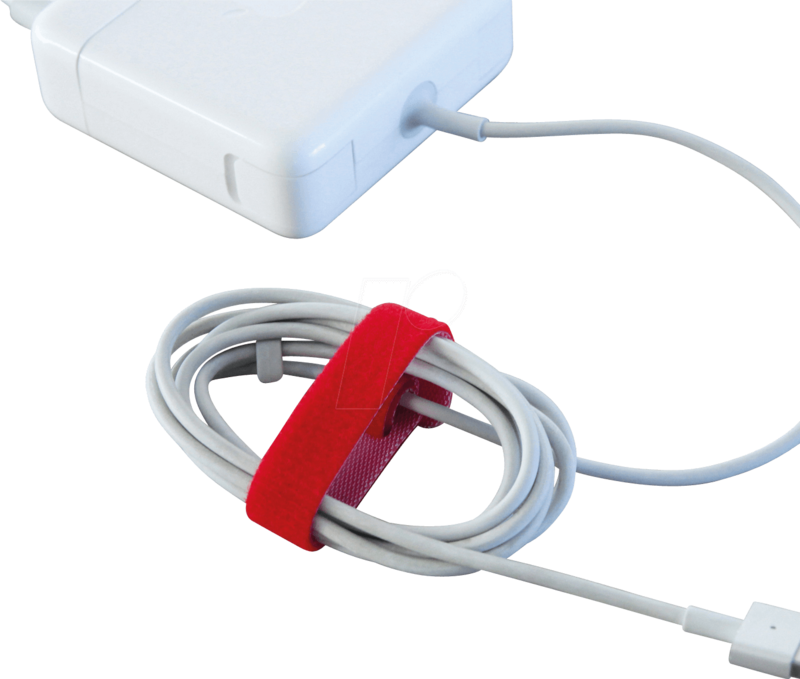 • Cable management is easy with touch fasteners: never again cable spaghetti. 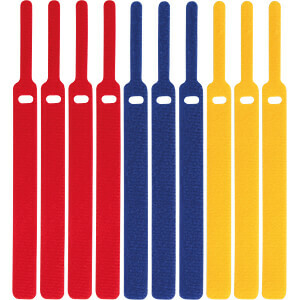 Useful length, reusable because of extra strong touch fastener backing. • Soft velour quality, especially gentle on all surfaces, even suitable for fibre optic cable bundles. 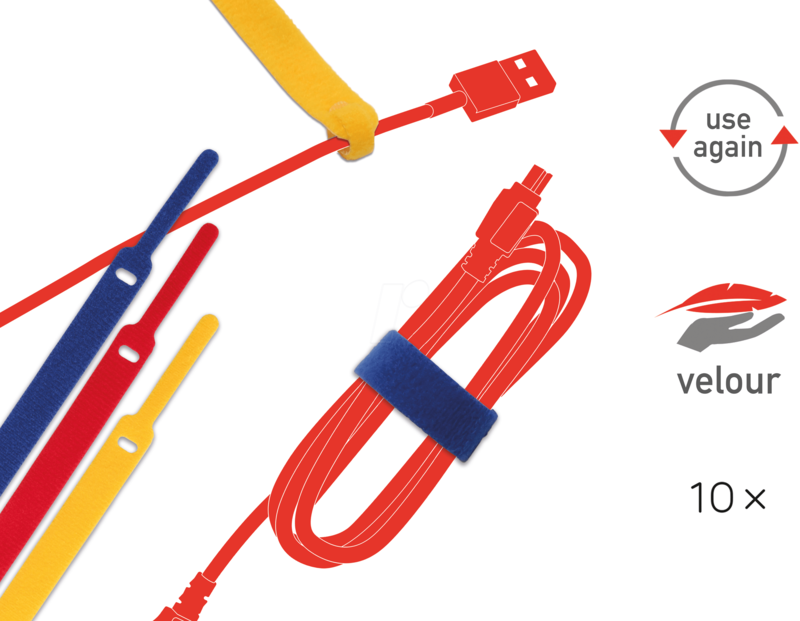 All-purpose, universal wire ties with endless possibilities. 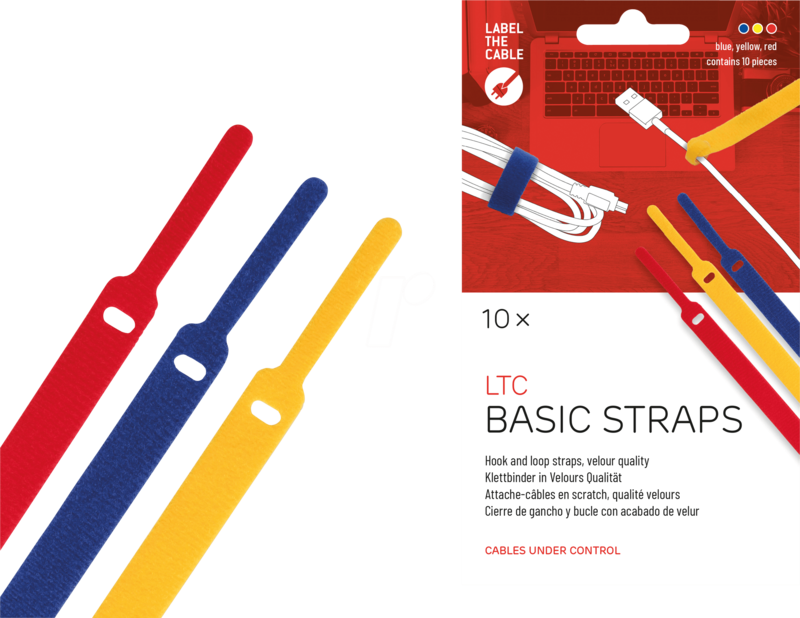 Cable management LTC BASIC STRAPS hook-and-loop cable ties are perfect for bundling cables together and provide a variety of opportunities for use in the office, at home, in the workshop and especially when travelling (e.g. 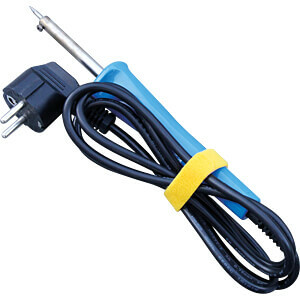 for laptop, mobile phone or tablet charger, computer cable). 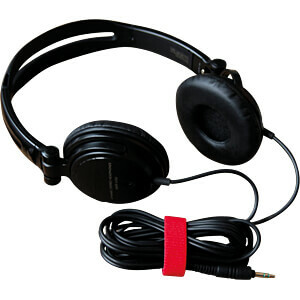 The hook-and-loop fastener strap remains firmly fixed to the cable. 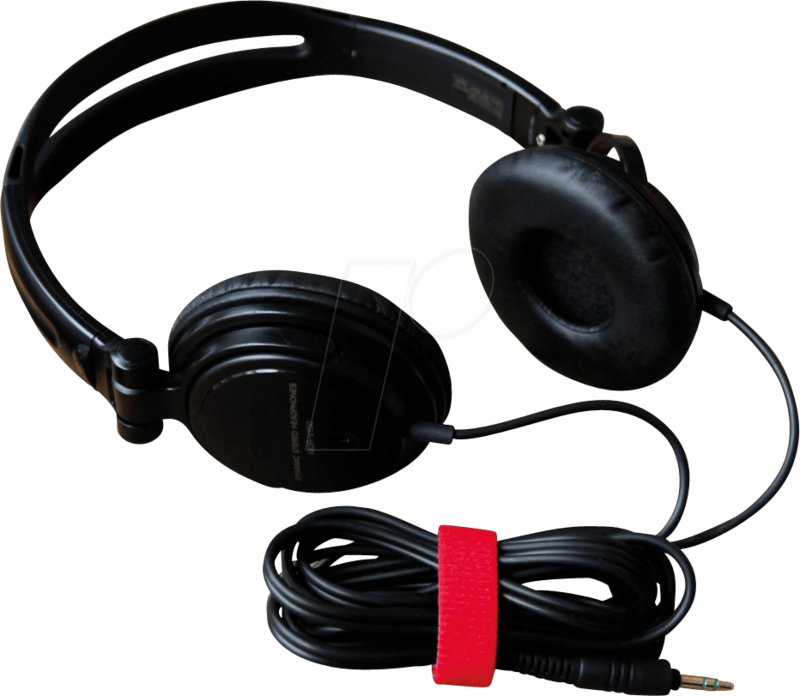 The touch fastening strap is of practical length and reusable thanks to the extra strong double-sided backing (hookand-loop cable fastener). 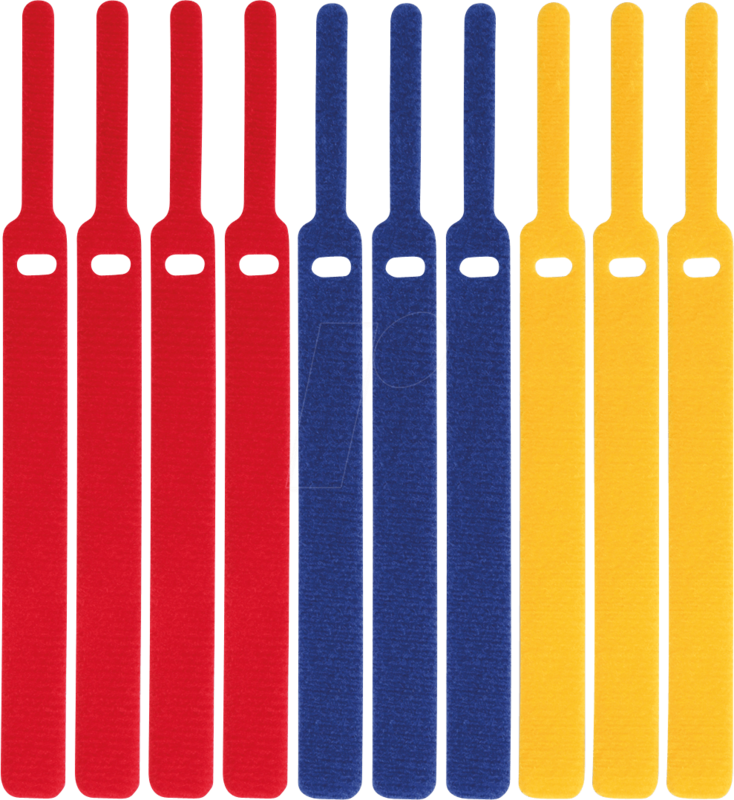 The soft velour quality of the strap is gentle on all surfaces. 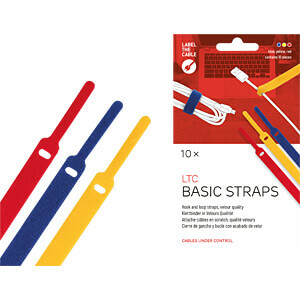 This means the LTC BASIC STRAPS cable ties is also suitable for fibre optic cable bundles.